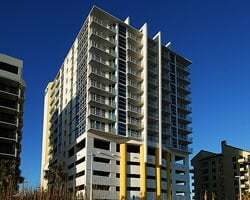 Located right on the ocean in North Myrtle Beach, the new *SeaSide* is a luxury boutique condominium resort featuring spacious accommodations and 4 star services. The white, sandy beach is just steps away from your door, along with all the fantastic attractions of North Myrtle Beach. At SeaSide, the professional staff are at your service, and only the finest amenities are yours to ensure a most memorable vacation. 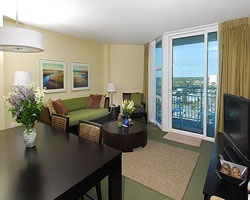 Here, you can enjoy oceanfront living at its very best, while being in the perfect place to enjoy all the attractions, golf, shopping, and entertainment in the North Myrtle Beach area. At SeaSide, indulge in luxury condominium accommodations that bring you the best of both worlds: the comforts and conveniences of home and the wonderful experience of staying at a first-class resort. To discover more, visit www.seasidemb.com. Price Negotiable! Perfect getaway for beach lovers! Annual floating week of your choice! Great for Exchanges> $8500 or Best Offer! Inquire now! Ocean view suite at this fantastic resort! Yearly usage in October week 42 in Red season! Make your offer today! Artsy & fun beach resort! Odd years usage in a floating week! Buyer receives complimentary closing credit; inquire for details! Stunning resort on Myrtle Beach coastline! Even years floating week! Buyer may receive a title fee credit, inquire for details! Stunning beachfront resort! Odd years usage in floating week! Make your offer! Red week 29 with ocean view! All reasonable offers will be considered. Deeded week 41 that can also float in red season! Motivated seller- all reasonable offers considered! Luxurious and unique retreat on Myrtle Beach! Odd years usage in September week 36 with option to float! Make your offer today! Gorgeous oceanfront getaway on Myrtle Beach! Yearly usage in popular July week 31 in Red season! 12 Bonus weeks! Make your offer today! Floating red week in Myrtle Beach! All reasonable offers will be considered! Comes with the trading places membership! Buyer May Receive A Title Fee Credit, Inquire For Details! Come to Myrtle Beach in Winter season week 52! Steps away from the white sand beach! Owner willing to offer bank week to travel in 2017 with purchase! 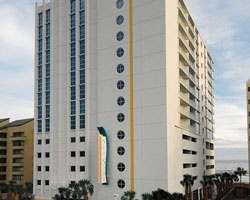 Eclectic resort on the white sands of Myrtle Beach! September week 36 in Red season ocean view suite! Will entertain all offers motivated seller! Oceanfront retreat everyone will love! Yearly usage in desirable July week 28, Saturday to Saturday! Make your offer! 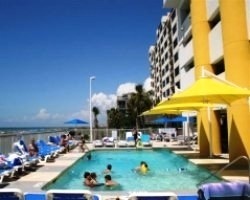 Great summer week vacations every odd year at this fantastic resort just steps from the beach! Buyer may receive a title fee credit, inquire today! 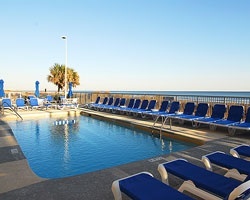 Perfect resort for enjoying the lovely North Myrtle Beach area! Make an offer today! Buyer may receive a title fee credit, inquire for details! Highly motivated seller. Price reduced. Floating week in odd years! Maintenance fees are paid to date! Come to Myrtle beach every even year! Relax on white sand beaches or one of the onsite pools! Buyer may receive a title fee credit!